Words are written occupying the moment and being of those that should be spoken. A gap grows millimeter at a time on a space once packed by a piece that shed from a heart which was united to another. Frustration empowers the tension fed by sharp looks and the nothingness which fills a clouded atmosphere. 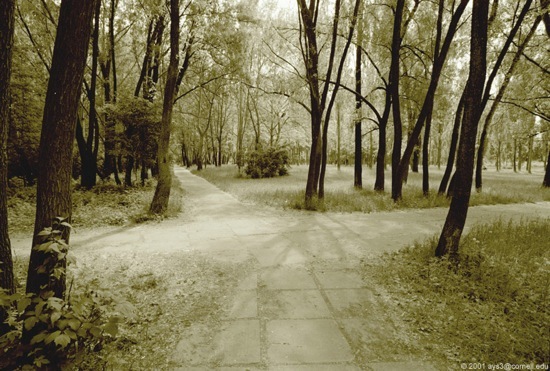 The path comes to a crossroad. And so their extremities no longer hold themselves. Millimeters to centimeters to inches… Ah, so long to a once shared existence thought eternal! A precious sentiment mutated by cruel force and venomous emotion. No longer theirs, neither are the memories of old that united two souls in a past with no present.